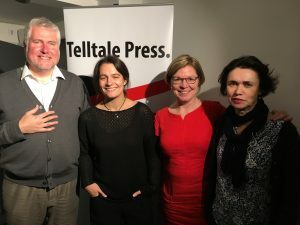 1 November saw the Telltale gang return to the newly-refurbished Poetry Café in Covent Garden where we were delighted to be joined by special guests Catherine Smith and Abigail Parry. The spare and smart décor was the perfect backdrop for readings that were by turns elaborate, engaging, intense, irreverent, comic, caustic and yes indeed alliterative, rhythmic; downright brilliant displays of the sonic magic of live poetry. Telltale co-founder Robin Houghton kicked off proceedings in style with an exclusive preview of her exciting new pamphlet, All the Relevant Gods, due out in February 2018 with Cinnamon Press. Next on the floor was Catherine Smith with a funky festoon of poems from collections including Lip and Otherwhere (Smith/Doorstop). Two stomping sets, a break to enjoy the refreshed upstairs café complete with poetry miscellany on each table like inviting menus (my favourite was the school exercise book inviting visitors to leave a poem), then it was back downstairs for a corker of a set by other Telltale co-founder Peter Kenny. Halloween may have just come and gone but that didn’t stop Abigail Parry treating us to a trio of Gothic poems amid an exhilarating set that tricked and turned on wicked word plays – we simply cannot wait for Bloodaxe to bring out Abby’s collection Jinx next March. 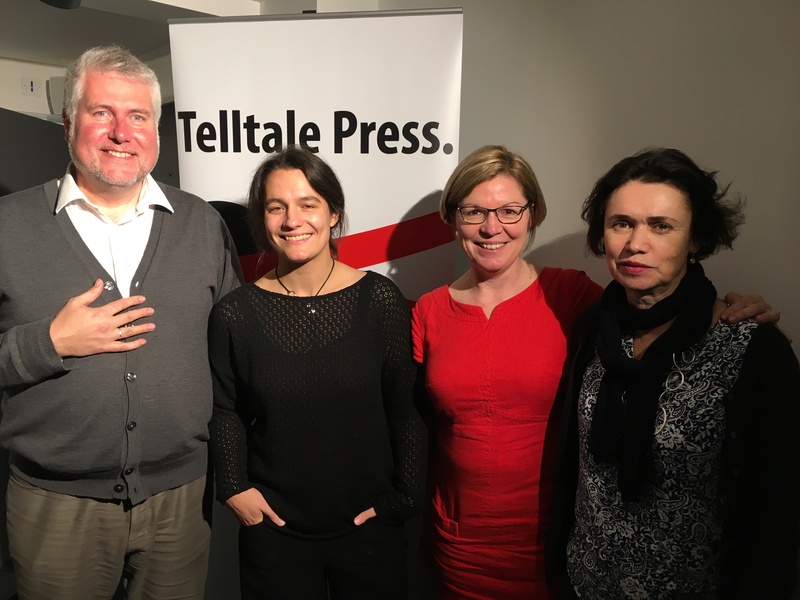 Thank you once again to Robin Houghton, Catherine Smith, Peter Kenny, Abigail Parry, the Poetry Café and the wonderful audience who filled the room with warmth and laughter. Next stop: the Telltale Anthology 2018 – watch this space! Fantastic news – we’ve persuaded the multiple award-winning poet Abigail Parry to read with us at the new-look Poetry Cafe in London on November 1st for our autumn Telltale Press & Friends. Last year Abigail won two of the biggest prizes out there – the Ballymaloe and the Troubadour. Her long-awaited debut collection Jinx is out with Bloodaxe next year. 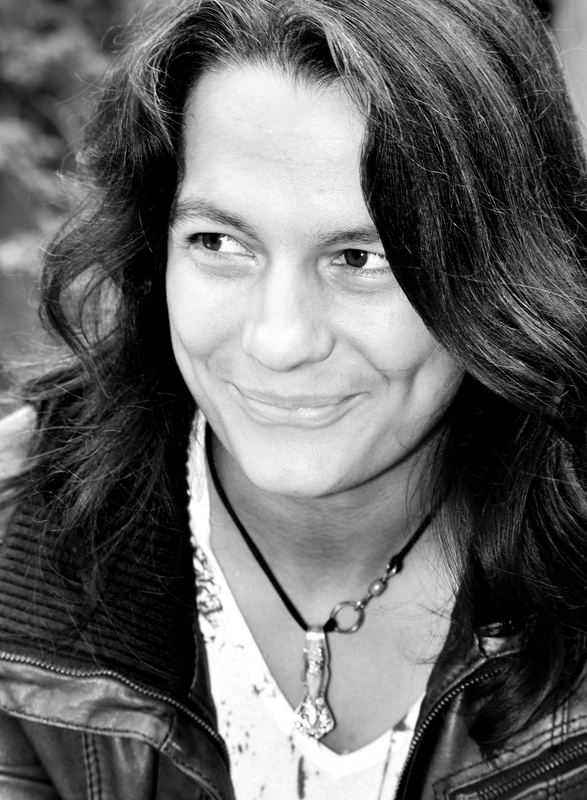 Abby gives excellent poetry readings – another great reason to come along on 1st November. Joining Abby are Telltale founder members Robin Houghton & Peter Kenny, and our marvellous Associate Editor and mentor Catherine Smith – also known for her compelling readings … it’s going to be a great night. As ever, entry is FREE, although donations are always welcome! Just buy a drink upstairs and come on down to the newly refurbished basement room. Here’s the flyer, and here’s the Facebook event page – please share with your friends, and thank you!